PUNE: Two city-based Defence Research and Development (DRDO) laboratories played a significant role in providing key components to Mission Shakti, India’s anti-satellite missile test that was performed successfully at Abdul Kalam Island in Odisha. These laboratories have played a pivotal role in other missiles programmes as well, including Agni and Prithvi. “It is the historic occasion for us. 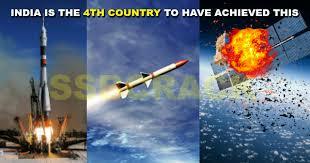 This success will boost the confidence level of our scientists,” Mehta said.